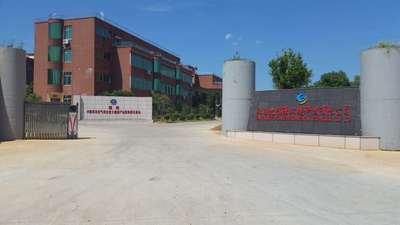 Jiangxi JoyfulSource Environmental Technology Co., Ltd was founded in 1995, and it is located in the middle of Jiangxi, close to the Jiangxi Ganyue Expressway and 105 State Road, 20 kilometers away from Jinggangshan Airport, the company covers an area of 57000m2, construction area of 58000 m2. We have a large number experts, doctors, professors and high-tech professional personnel engaged in ecological health product, and rich experienced staffs. Our Company annual output value reaches more than 2 billon RMB, their products are exported to Europe, America, Middle East, South Africa, Asia etc. total 58 countries and regions. Our company has independent developed herb mud; artificial tree house; artificial flowers & miniascape; health preservation home furnishing; handicrafts; plant extract for Formaldehydes, Toluene, Ammonia,Deodorization and Harmful substances removal; herbal air purifier core; and herbal health preserving board products etc. All these products adopt the health herb raw or refined materials, modification and activation technology is used to carbonating bamboo leaf mugwort leaf, rice husk and other herbaceous plants, to increase the beneficial function products on the human body exponentially. When entering the place with herbal product, it can make the person feel relax and enjoy like in the nature. The passive function of Hydroxyl Anion products can continuously release negative oxygen ions more than 5000/cm3 in room, which has function of sterilization, micro-wave absorption, air clean, Formaldehyde, Toluene, Ammonia and harmful substances removal, removing peculiar smell etc. and can improve human immunity, activating cells and tissues, obvious effect on nerve, blood vessel, blood, respiratory system. Since 2002，the company has passed GB/T19001-2000 “Quality Management System-Requirements"and GB/T24001-1996 "The environmental management system - specification and use guide"standard authentication.